Palestinian President Mahmoud Abbas, left, holds hands with King Abdullah II of Jordan as they meet in Amman, Jordan, Tuesday, Jan. 10. President Abbas says talks between chief Palestinian and Israeli negotiators have provided an 'important opportunity' for reviving direct negotiations. 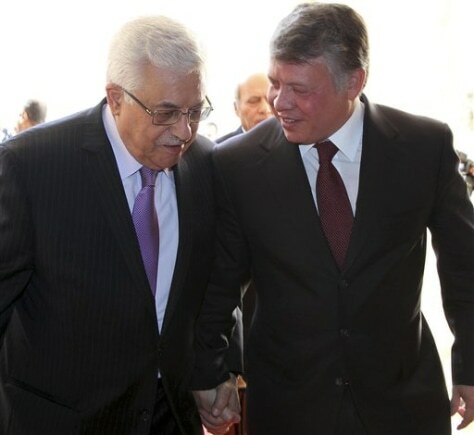 "We must take this chance," Abbas told reporters after talks with Jordan's King Abdullah II in Amman on Tuesday.